However, we feel China’s currency devaluation increased investors’ worries further, so that the plunge became rapid and radical. For investors who’ve got concerned about their positions, we explain which trend in the markets is unchanged and what we can buy during the turmoil. 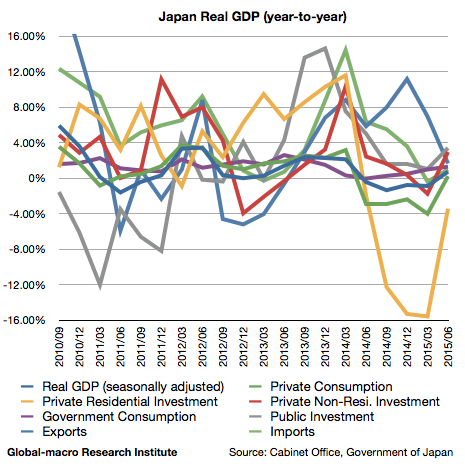 Japan’s real GDP for the second quarter of 2015 has been published, and the real GDP grew by 0.71% (year-on-year) during the quarter. The details suggest the house holds are struggling due to the consumption tax hike in 2014, and this tendency could accelerate after another consumption tax hike in 2017. 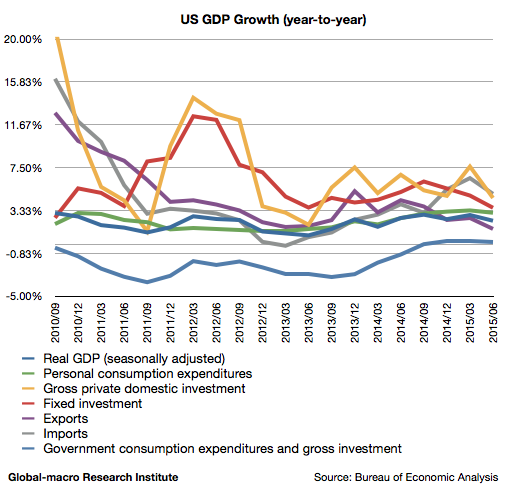 The growth of fixed investment implies industries are doing better because of the quantitative easing, although the exports slowed down despite the weak yen. Recently, the Fed seems quite hawkish and rushing to raise the interest rate. According to Reuters, Mr Lockhart, Atlanta Fed President, insisted the point of “lift off” is close. Although the GDP growth remains to be over 2%, the speed of the growth is weakened, and the CPI is still far from their inflation target of 2%. This means there are other reasons for the rate hike than just the economic recovery of the country. The Fed is actually getting pushed to raise the interest rate by some other fear: the reverse flow of the portfolio rebalancing. 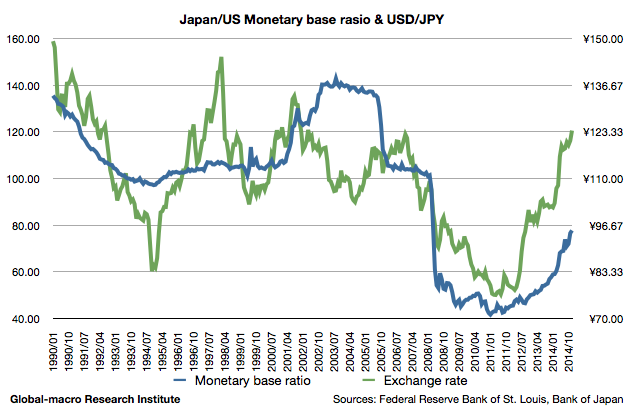 The prices are radically falling even in the currencies with the quantitative easing, such as the yen and the euro. The prices have fallen to the range before the US started the QE after the financial crisis in 2008. Although the Fed has surely stopped the QE, they haven neither sold the purchased bonds nor raised the interest rate. 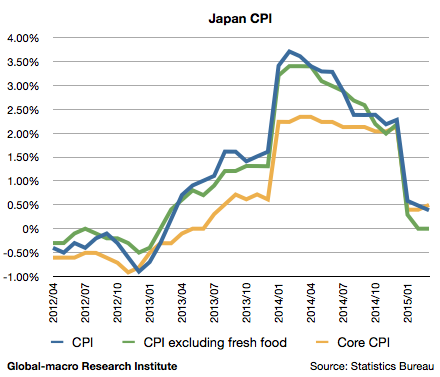 If, in addition, the Bank of Japan and European Central Bank stopped the QE, the commodity prices could tumble further, so that what has happened after the massive QE is the deflation. It would be very unreasonable, and so investors need to conceive a reasonable explanation for it. Since the Bank of Japan started the massive quantitative easing in early 2013 and then expanded it in late 2014, it’s remained silent on whether or not they’re planning more easing in the future. Will they plan further easing? Our answer is yes, but there are a few possibilities for the timing. At the earliest it will be from Sep to Dec 2015, or at the latest it will be 2017. We shall discuss the data to explain why.